Glitz, Glamour ….. and Gaiters! Think of the French Riviera, and what first springs to mind? Expensive super-yachts? Millionaire’s mansions? Palm-fringed promenades and glittering turquoise seas? Of course, the Riviera is all these things – and much more besides – but, venture just a couple of miles into its hinterland, and you’ll find tiny mountain villages, hidden hilltop hamlets and more flowers, plants and wildlife than you’d ever have thought possible. For 2014, leading walking and cycling specialist, Headwater, has today unveiled a brand NEW addition to its guided walking portfolio. Its NEW Undiscovered Riviera Walk combines some of its most sensational European hikes to date with fine food, inspiring architecture, beautiful bays and postcard-pretty villages perched high above the Med. 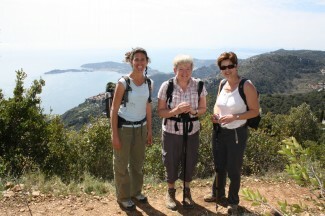 Base for this NEW guided walking week is the elegant French Riviera resort of Menton, perfectly positioned between Monaco and the French-Italian border, and just below the foothills of the sun-drenched Alpes Maritimes, the Alps’ most southern mountain range which link Provence with the Italian regions of Piedmont and Liguria. During the course of the week, and under the leadership of Headwater’s expert local guide, guests will traverse magnificent coastal paths, take in timeless cliff-top towns and get a birds’ eye view of the coast from walking the border of the Mercantour National Park, home to more than 2,500 types of plants and flowers – including 200+ rare species such as the Ligurian Gentian and the indigenous Saxifraga Florentula which flowers only once. 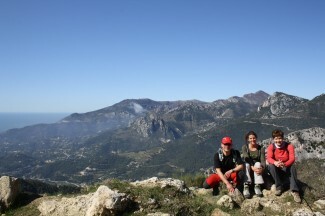 In addition to five full guided walking days, Headwater’s hand-crafted programme has been purposefully designed to include a “rest” day mid week, leaving customers free to choose from the plethora of attractions on the doorstep: cosmopolitan Nice, mega-rich Monaco, buzzing Monte Carlo and Italy’s Vintimiglia are all less than 30 mins away on the frequent coastal train – or you can actually walk from Menton’s chic old town across the border if you prefer! Activity level: 2-boot “medium” walking along mountain paths and coastal trails.